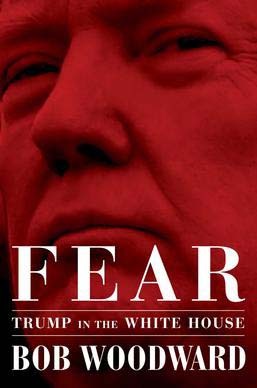 Peter Navarro is “the source of all the chaos” in the White House when it came to trade policy, a rival adviser says in “Fear,” Bob Woodward’s new book on the Donald Trump presidency. The former San Diegan — who ran for local or national office five times between 1992 and 2001, including mayor and City Council — is prominent in the book, appearing on 19 pages. The 19th book by the famed Watergate reporter says Gary Cohn, who eventually would resign as President Trump’s top economic adviser, tried to oust Navarro over his push for steel and other tariffs. “Cohn took every chance he could get to tell [White House Chief of Staff John] Kelly how Navarro was an absolute disaster,” Woodward writes on page 277 of the book officially out Tuesday. 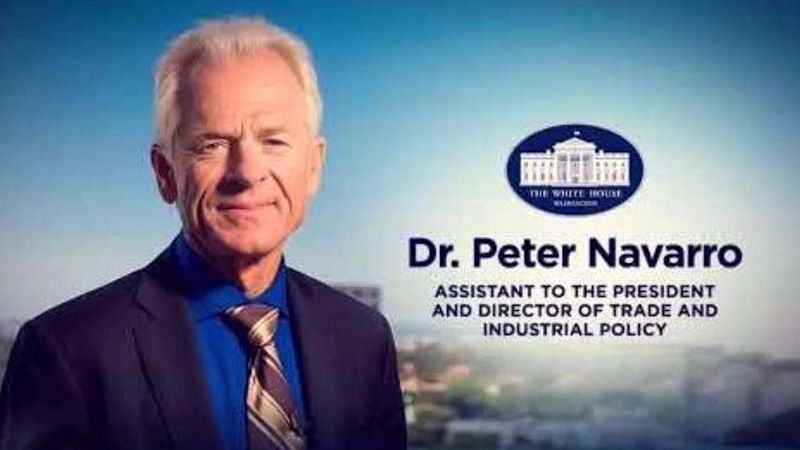 Peter Navarro is mentioned on 19 pages of the book by the Washington Post associate editor. “Get rid of him, Cohn argued, fire him,” Woodward writes. But Porter could “block him,” he’s depicted as telling Kelly, who once was based at Camp Pendleton. On Sept. 26, 2017, Kelly called a “meeting of the combatants,” with Stephen Miller joining Navarro and Porter siding with Cohn. 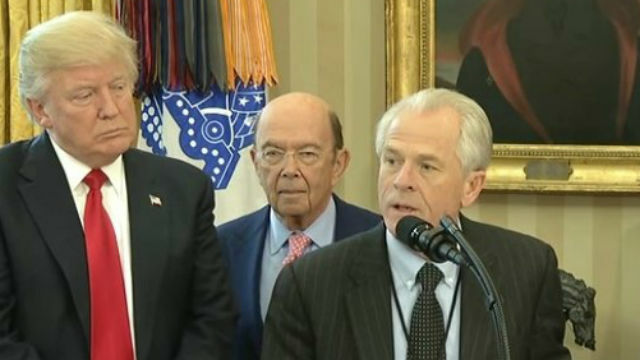 Navarro began by complaining that he had been promised during the campaign to be an assistant to the president, but ended up as a deputy assistant, heading the new White House National Trade Council. Cohn pushed back, Woodward writes. Kelly hears Navarro’s rebuttal — “Gary’s just a globalist. He’s not loyal to the president” — but soon ends the snipefest. Navarro pops up several other times in the 420-page book, including in the 16-page center section of color photos of key characters. The former UC Irvine economics professor doesn’t make his first appearance in “Fear” until Chapter 17 on pages 134-135. Navarro decried NAFTA at one meeting with Trump and Cohn, calling for tariffs on imported steel. In another episode, then Chief of Staff Reince Priebus is shown a pouting two-page note by Navarro, intended for Trump, about the economic factions in the West Wing. Navarro appealed to Trump with a golf analogy. “I have been given only a five iron and a putter and ordered to shoot par on trade — an impossible task,” Woodward quotes from the “Eyes Only” memo, apparently supplied by Priebus or Porter. Porter feared that Trump, if he read the memo, would make trade policy a “major fight” in the White House. But Navarro took things into his own hands in April 2017 after Trump demanded an executive order withdrawing the United States from NAFTA. Porter, the staff secretary in charge of paperwork, noted it first had to be a 180-day termination notice. After being warned against any action by National Security Adviser H.R. McMaster and Agriculture Secretary Sonny Perdue, Trump decided to hold off. But Navarro “slipped into the Oval Office for an ad hoc, unscheduled meeting with the president,” Woodward writes. Navarro tells Trump — again looking for action on NAFTA — that Porter’s process “is holding all this stuff up.” That leads to Trump demanding to see Porter immediately. Porter then drafts a 180-day NAFTA pullout notice for Trump’s signature. Fearing a crisis with Canada and Mexico, Porter went to Cohn.